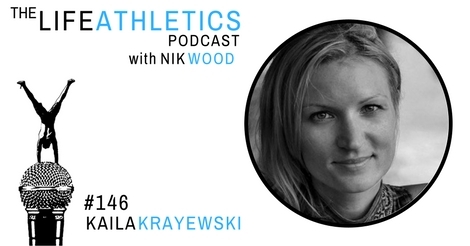 Hey Life Athletes, welcome to episode 146 of the Life Athletics podcast! Today’s guest Life Athlete is Kaila Krayewski. Kaila is the founder of The Content Castle, a haven that provides a conducive environment for talented writers who want to get their books, poems, and manuscripts done. It is a 6-bedroom house in Koh Samui, Thailand, purposely built to inspire creativity in writers. On this episode, she talks about what The Content Castle is and who are given the amazing experience to live in the house. She reveals the Content Castle’s application process, the aid they provide for writers, and the camaraderie that is being built inside this wonderful home. Kaila shares us some simple tips on how to become a good writer. Listen to this episode and get inspired to pick that pen up and start writing. She also shares her habit of action, her motivations, her failures, and how these pushed her to succeed. If you have a novel to compose, a book to write, a manuscript you are eager to finish, you are welcome to apply here.